I’ve finally gotten the first iteration of post publication notifications completed. While I’ve tested this out in my local environment, and on a few of my own production sites, to get a feel for the user experience…I’d like some input. If you are running a multi-author WordPress site or use Scheduled posts often, I’d love for you to take the Pushover Notifications for WordPress 1.9 Beta 4 release for a spin before it goes live to all users. It’s pretty simple for now, you enable post publish notifications, and any user with a Pushover User Key on their profile (who isn’t the author of the post) will be notified when a post moves to the ‘publish’ status from any other status except ‘publish’. If the previous status is ‘future’ (a scheduled post), the post author will be notified as well, so they can know when to promote it via social media or other outlets. If you meet one of these two cases (multi-author and/or schedule posts) and want to give the Pushover Notifications for WordPress 1.9 Beta 4 release for a spin, you can download it now. If you don’t like the idea of manually installing, you could also just add the ‘Plugin Beta Tester‘ plugin to your site. It will allow your WordPress plugin upgrades to pull betas that developers have put into their repositories. 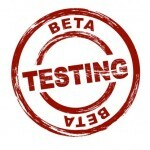 Using this method will actually notify you of any future Beta Releases I have coming as well. Any issues you run into or input you have can be left in the comments below or on the Twitter/Facebook/Google+ pages. I’m Andrew from WebHostingHub. We are doing Spanish translations of useful plugins in order to ease the people from Hispanic community and we consider that your Pushover Notifications for WordPress plugin that we found at https://wp-push.com/pushover-notifications-for-wordpress-1-9-beta-4/ is very interesting. Would it be ok with you, if I translate it into Spanish?